Happy to announce my game "a dream? - a poetic experience". It is an artistic game about life and personal experiences and the first title under the inochi.life label. I call the genre hyperpersonal games. 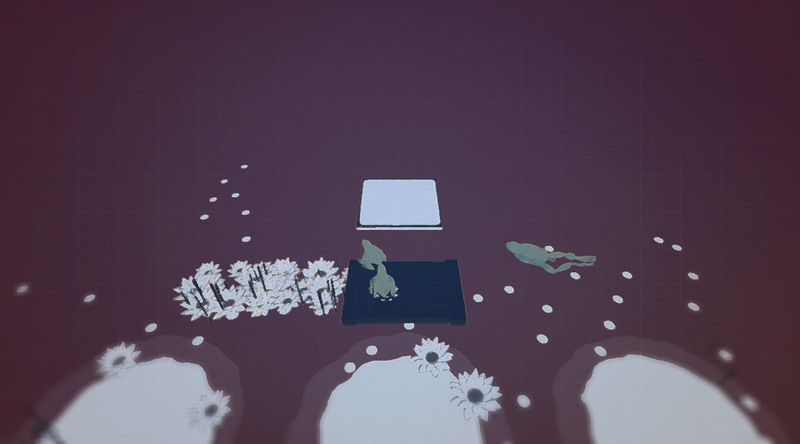 An artistic puzzle platformer about different facets of life and personal experiences. Each level is associated to a personal theme, which is conveyed through the level composition, challenges and soundscape and is narratively structured around a poetic structure. The association between movement and sound is an elemental aspect of the game and the soundscape is generated based on the interactions of the player. In Japanese culture the frog is seen as a symbol of luck and throughout the progression of the game each step reflects the small steps and jumps we as humans do to progress in our lives, ambitions and dreams. While the player only controls the jump of the frog (direction, strength and time), the dynamism of the levels creates a number of varieties and challenges. Dynamism is created through the fact that landing creates ripples, which affects other elements in the level based on their characteristics. 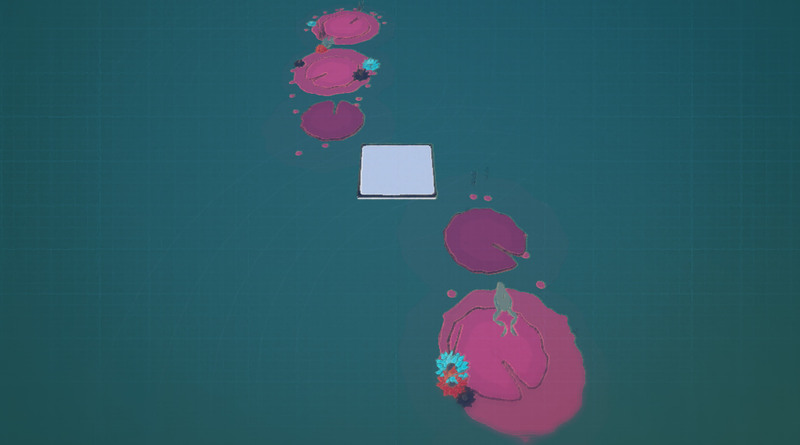 Ripples are created not only by the player, but by any other frogs in the level, similar to the effects other people have in ones environment. Cool concept - nice colors too! Obviously everything is very early stages and rough - so it's all looking/sounding good - though I'll point out that if the game is going to rely heavily on sound, you really want those sounds to be polished. Are you doing it all yourself? Thanks! The idea of hyperpersonal games evolved throughout the process of making the game. To me it was interesting how musicians are able to make these very personal expressions through their songs and people looking for that, while the medium of games is perceived totally differently with different expectations from the very first minute. Thank you! 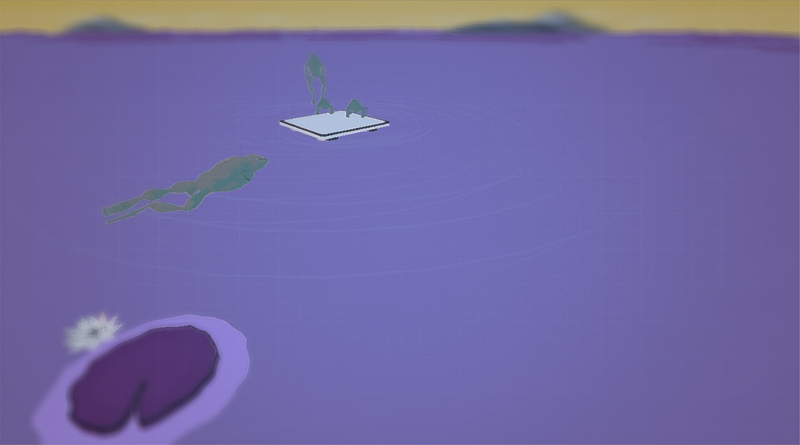 Yes I am doing all the things myself and the soundscape is generated through the interaction of the player. It has a different atmosphere, if you are playing it since your movement and sound are synchronized. I myself am also a passionate freestyle dancer, so the association between movement and sound was important to me. I also love the games by Tetsuya Mizuguchi for that matter (although those game do not generate the soundscape, rather than inform pre-recorded music layers). Here an example video focussed on the way the soundscape is created through movement. Looks really nice. Good job! Independent game studio from Cork, Ireland.